The 2017 Chevy Impala in Albany, NY is a sedan that truly offers something for everyone. Apart from its spacious interior and good looks, the Impala also received top safety scores, has exceptional performance and advanced technology. Combine that with seating for up to five passengers and a large cargo volume of 18.8 cu. ft., and the Impala has something for everyone. It’s a downright versatile vehicle, especially when it comes to performance, where there are two different engines you can choose from: a 2.5-liter four-cylinder and a 3.6-liter V6. Making it a larger sedan that’s able to focus on either fuel economy or power. Of course, there’s plenty to say about the technology and safety features (and overall score) of the Impala as well. The 2017 Chevy Impala has two engines to choose from: a 2.5-liter four-cylinder engine, and a 3.6-liter V6. The beauty of this is that depending on which engine you pick, you’ll end up experiencing a different kind of ride. Regardless of which engine, model, or trim you choose, however, the Impala is equipped with a six-speed automatic transmission and front-wheel drive across the board. This 2.5-liter four-cylinder is the standard engine of choice for the Impala, producing 196 horsepower and 186 lb.-ft. of torque. While that might not seem like much for a large sedan, it’s enough. After all, the goal is to strike a balance between performance and fuel economy. Which is does quite well, with EPA estimates coming in at 22 mpg city/31 mpg highway. Will it be the most exciting ride on the highway? No, but you will experience a smooth ride, courtesy of the automatic transmission, as well as a comfortable ride, thanks to the high-quality construction of the vehicle and cabin. Most importantly, you’ll enjoy the savings afforded by a smaller car’s fuel-efficiency, but on a large sedan. If it’s thrill seeking you’re after, go for the 3.6-liter V6 engine. When equipped with the 3.6-liter V6 (available on the LS and LT trim), the Impala turns into a completely different animal. Now, drivers will experience what 305 horsepower and 264 lb.-ft. of torque can do for a large sedan. The fuel-efficiency does dip down slightly, but only to 18 mpg city/28 mpg highway. While that’s a noticeable difference, it’s still not that bad. Furthermore, the Impala is able to do a 0-60 mph sprint in 6.4-seconds, quite quick for a larger sedan. Therefore, an Impala equipped with the 3.6-liter V6 engine will provide you with a much more athletic and adrenaline-pumping performance. But, it’s still toned back enough for the rest of the family. 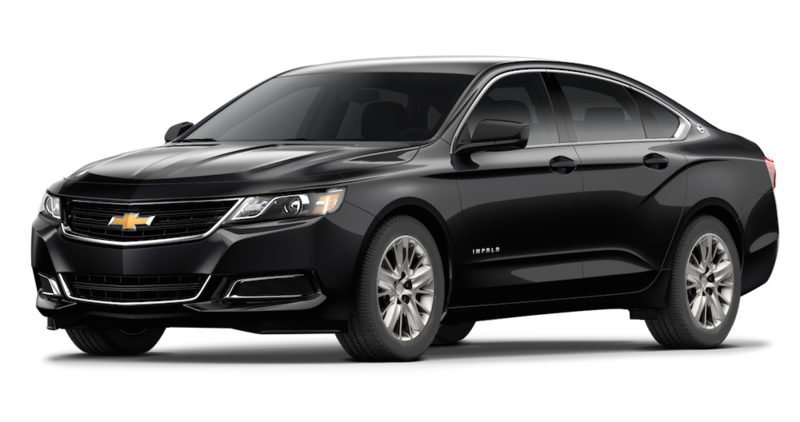 On a side note, Chevrolet is also selling a dual-fuel Impala with a V6 that can run on either compressed natural gas (CNG) or regular gasoline. The 2017 Chevrolet Impala takes a decidedly all-around approach to safety thanks to its advanced safety features. With these features, drivers can expect a confident ride in the front, sides and back of the vehicle. While the Impala has all the basic safety features found on most vehicles in 2017 (airbags, steel safety cages, etc.) Chevrolet also made sure to add on plenty of the brand’s advanced safety features, like forward collision alert, side blind zone alert, rear cross traffic alert, and lane departure warning. All of which are designed to help the driver avoid accidents through the use of cameras and radar. On top of that, the Impala is also available with OnStar Automatic Crash Response. This is a system where an OnStar Advisor is automatically connected to the driver in case a collision occurs. Then, the Advisor can ask the driver if emergency assistance is needed. If the driver agrees (or doesn’t respond in a timely manner) the advisor will automatically send emergency services to the collision location via GPS tracking. So, if you make the smart choice to drive a Chevrolet vehicle in 2017, help will always be on the way, should you need it. If there is one thing Chevrolet is progressing well with in 2017, it’s a host of technology. In particular, Chevy’s phone connectivity is leading the way for 2017. With the Impala offering support for both Apple CarPlay and Android Auto, you are able to enjoy a full phone integration experience, regardless of which brand you prefer. Both of these services allow the driver (or passenger) to operate their cell phones through Chevrolet’s MyLink touchscreen display. 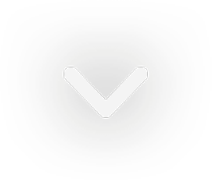 Providing support for features like Apple Music, directions from Apple Maps, accessing a calendar, Google Maps (Android), music playlists (android), and even making safe and efficient calls. You can also use some of your favorite phone apps through these two phone services. However, applications, such as Pandora or Spotify, will use up data rather quickly. Therefore, that might make using your phone on long car rides to play music with those apps an expensive choice. Unless you’re driving the Impala (or other Chevrolet model) that has a 4G LTE WiFi Hotspot available, allowing you to hook up to seven devices to a mobile hotspot, which provides you with a data-free, high-speed 4G LTE WiFi connection. This is going to provide you with a connection that’s faster than using your data, but also allow you to use any internet-based apps, care-free for the entirety of your car ride. With the myChevrolet Mobile App you can turn your mobile phone device into a command center for your vehicle. With this app, you can control things like the start/stop technology on the engine and lock or unlock your doors all remotely. You can also send destinations to your navigation system, view any diagnostic information that you deem helpful, and even set parking reminders. DePaula Chevrolet is your Albany, NY dealership that specializes in new Chevrolet models — like the 2017 Chevy Impala — Chevrolet parts, and Chevrolet service. Whether you talk to our sales staff, certified technicians or finance team, you’ll be treated with the care and respect that you deserve. Because when it comes to our customer’s car buying experience, you get a customer-focused experience with up front, transparent, simple and fast pricing. Along with 24/7 availability through call, email, and online chat for whatever you might need. Of course, our VIP program also provides exclusive offers, discounts, and rewards if you opt for that. In other words, DePaula Chevrolet has everything you need to succeed in finding the right car for your lifestyle.